Welcome back Employers, Graduate, and Professional Schools! 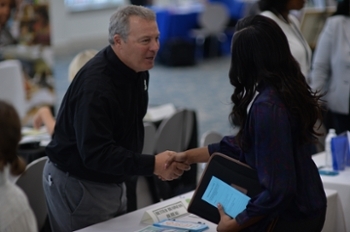 Belhaven University’s Annual Career Fair will be held on Thursday, February 28, 2019 from 9:00 am – 1:00 pm! Check back with us mid-November for EARLY discounted Registration! In the meantime, please make sure you’re registered with us through Handshake! We look forward to connecting you!